Having difficulty managing large PDF files? Reduce its size, export in PDF/A Archive format and extract data. 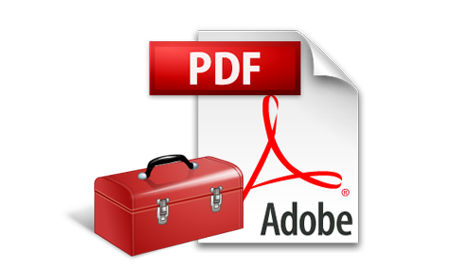 The PDF Toolbox software is a storehouse of multiple functionalities. It has 4 main working abilities that are compression, reduction, extraction and conversion of possible multimedia data such as text and images from PDF files. Along with the chief working capabilities of the ‘managing application’, an option to add several Adobe Reader PDF files that are stored within a common folder, is also rendered in the PDF management utility. Irrespective of any changes done to the PDF file like compression, size reduction and data extraction; the structure of the new PDF documents formed stays same as before without any kind of damage. A tab ‘Advance Settings’ is provided in the tool’s interface regardless of the fact whether which functionality is selected to be executed. This rule gives power to users to achieve and ease their piece of purpose. The managing toolbox compresses the size of PDF files in bulk by reducing the size of images. In this way the large files become small in size and hence the space occupied reduces and carrying them gets easier. Text can be extracted from various PDF documents at once. In this way the files can be managed as per want as well as professional white papers can be formed. Other advantages can also be achieved. Bitmap images embedded in files can be extracted and saved in various formats like JPEG, TIFF, PNG, GIF, BMP, etc. Page options like Page Numbers, Page Range and All are provided in the tool for ease. The managing toolbox of files can convert PDF to PDF/A format in bulk and without hampering the hierarchy of files. Moreover, the original documents remain intact and unchanged. The demo release can be downloaded to execute file management tasks of compression, conversion and extraction but with certain limitations. The first limitation is that company's watermark is added to the resultant output and moreover only half the number of pages is processed for the option 'Extract Text. Once acquainted with the working and functionalities of the PDF Toolbox, the software application can be bought online through a secured gateway. Tool can also be bought through the Company's reseller in your area if you do not rely on online transactions'. However, the online order is safe and protected without loop holes. Once the licensed edition is in one's possession, it can be used in a fully fledged manner to carry out all the functions without restrictions. Can I use the tool in my new Windows 8 laptop? Yes, the toolbox can be used on any Windows system including 8 and 8.1. I do not have Acrobat Reader on my machine, can I use the tool? No, you need to have Adobe Acrobat Reader 11.0 or older versions installed. Can I save some files without watermark with the free version? No, full edition is required to export even a single PDF without watermark. Is the interface of the PDF Toolbox easy enough for a non-tech user? Yes, the utility can be used by anyone as the interface is self explanatory. The PDF Toolbox management software indeed works great. I have become crazy about the product as it gave me apt results without data loss when I used it to compress PDF files. Before compression the PDFs occupied a large space on the hard drive, but now I have much free space. Thanks a lot. What a wonder tool you people deliver, really mind blowing. I never thought extraction of images from PDF files and that to from multiple files together at once would be so easy. But the PDF Toolbox did make it a reality. Really impressive! I had to collect text data from a multiple PDFs so as to make one for myself to present my project in the college. And this could not have been possible without the use of PDF file management toolbox. The best thing of the software is that it contains advance settings option that makes either functionality indeed superb. I am awe-struck by the overwhelming performance of the tools ability in compressing, converting and extracting data from PDF files. The multi-functional capability of the PDF Toolbox software with Advance Setting option is what makes the application an apt one.